What lights fit in the Universal 1×1 Lightbank (#1655)? We designed the Universal 1×1 Lightbank #1655 to fit a wide array of square 1×1 style LED panels. At minimum, a light that is at least 12×12″ and 0.75″ thick will fit. At maximum that is 14.75×14.75″ by 2.” The corner elastic as well as two loops to hook around side yoke knobs, help secure the lightbank to the light for a great tool for many popular LED panels! 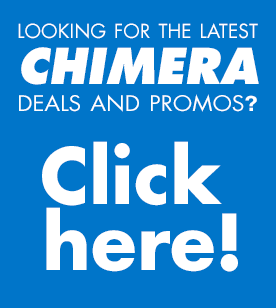 https://chimeralighting.com/wp-content/uploads/2017/08/chimera-lighting-logo-copy.png 0 0 Chimera Lighting https://chimeralighting.com/wp-content/uploads/2017/08/chimera-lighting-logo-copy.png Chimera Lighting2017-02-21 07:40:222017-07-03 13:37:17What lights fit in the Universal 1×1 Lightbank (#1655)? Lens Screens vs. Standard Cloth Diffusion? What lights should I use on a Daylite Junior?